The Basel Action Network (BAN) recently released this report on their E-Trash Transparency Project, an electronic tracking investigation designed to track e-waste movement within and from the United States. Using a grant from the Body Shop Foundation, BAN investigated actual e-waste movement from 2014-2016. Their intent was to answer the question of whether or not e-waste delivered to a charity or a recycler will be recycled in the United States or will likely end up being exported to a developing country. For the project, BAN installed 200 tracking devices into retired IT equipment including printers, flat-screen (LCD) monitors and cathode ray (CRT) monitors. The devices were then hand-delivered by their research team to publicly accessible e-waste recycling sites around the United States. With 200 trackers to deploy, we not only delivered the electronic waste to recyclers and their drop-off locations, but also focused our attention on one well known charity thrift store chain – Goodwill Industries International, Inc. This chain had a reputation for a high level of responsible behavior, and had partnered with one of the world’s largest personal computer makers – Dell Inc., but nevertheless had been the subject of some complaints made to BAN. In all, BAN delivered 149 (74.5%) of the 200 tracker-enabled e-waste equipment to electronics recyclers, 49 (24.5%) to charity thrift stores (mostly Goodwill), and 2 (1%) to retailers in the continental United States. Of those 200 deployed trackers, as of the release of this report, 65 (32.5%) of these tracker-enabled devices were exported. And by our best estimation and understanding of waste trade law, 62 (31% of total trackers) of those 65 devices exported were likely to be illegal shipments – usually due to the laws in the importing country or Regional government. Most of the exported devices in BAN’s tracking project ended up in one of ‘three Chinas’ – the Special Administrative Region (SAR) of Hong Kong, mainland China, or Taiwan. The report’s key findings show an export rate of more than 32%, mostly to Asia, and likely illegal. Goodwill and Dell both allowed hazardous e-waste to be exported to developing countries. 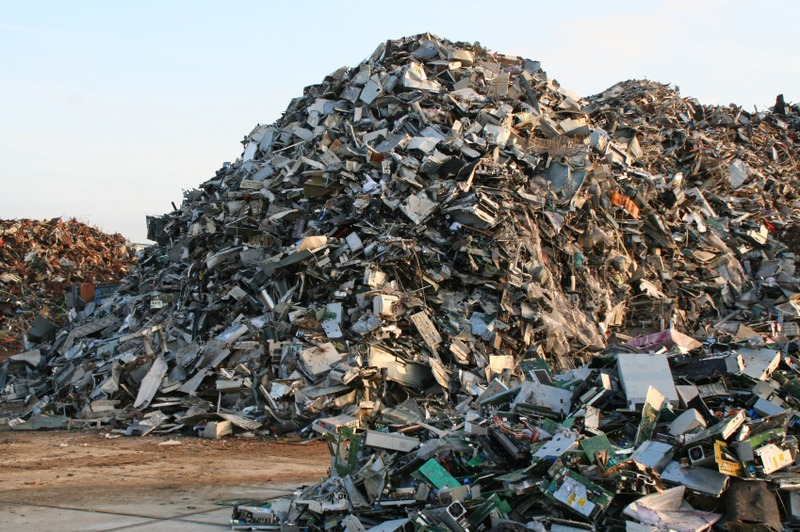 Why Does Exporting E-Waste Matter? Proper electronics recycling is a vital piece of being environmentally responsible. Many materials found in electronic devices are hazardous. When old monitors, printers, cell phones and computers end up in landfills, mercury, cadmium, and lead leach into the soil or, when burned, are released into the atmosphere. This impacts the planet as well as having dangerous effects for people, animals, and plants. Additionally, exporters place themselves at risk of criminal prosecution. Access the full BAN report here. Securis’ R2 certification ensures that our clients’ equipment doesn’t end up in a landfill. Ever. What it boils down to is that Securis understands the need for your data to remain secure and effectively and securely destroys that data. It also means that when doing so, we’re not contributing to mountains made of dead electronics.